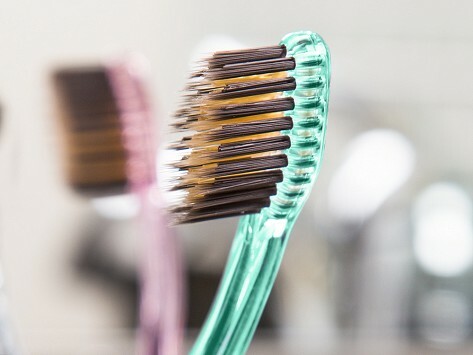 An antibacterial toothbrush starring gold and charcoal might make you do a double take, but both of these natural elements help your mouth get cleaner, and even whiten your teeth. The soft, rounded bristles are infused with nano-particles of gold and bamboo charcoal. Gold is naturally anti-microbial—penetrating bacteria cells and killing them instantly—and charcoal absorbs and kills germs, odors, and stains. All that’s left behind is a sparkling smile. This is a great toothbrush. After brushing, my teeth feel really clean. I’ve tried different brushes and this one is the best by far. This is beyond a mere toothbrush. The charcoal whitens your teeth and it fits into areas of your mouth that other toothbrushes cant . Nano-b antibacterial toothbrushes cut down on bacteria—both in your mouth and on the brush—and brighten your smile with the help of some unlikely elements. The bristles are infused with nano-particles of gold or silver, which release negatively charged ions to penetrate bacterial cells and kill them on the spot. For extra whitening power, the gold-infused bristles also contain particles of bamboo charcoal. It’s a natural purifier that removes acidic plaque and stains, like from coffee and wine. 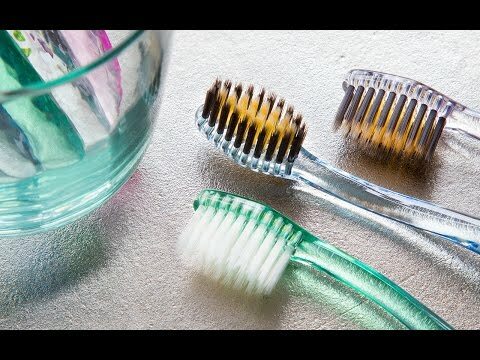 You may already trust charcoal to filter out impurities in your water, and it works the same way in these bristles. The highly porous surface easily absorbs—and essentially suffocates—odors and toxins without leaving any residue or taste behind. Founder George Tonchev created Nano-b when he couldn’t find the right toothbrush to suit his mom’s sensitive gums. The shorter bristles have staggered heights that reach more easily between teeth, while rounded tips make them extra gentle. We’re sure George’s mom agrees that his unique toothbrushes really are golden.